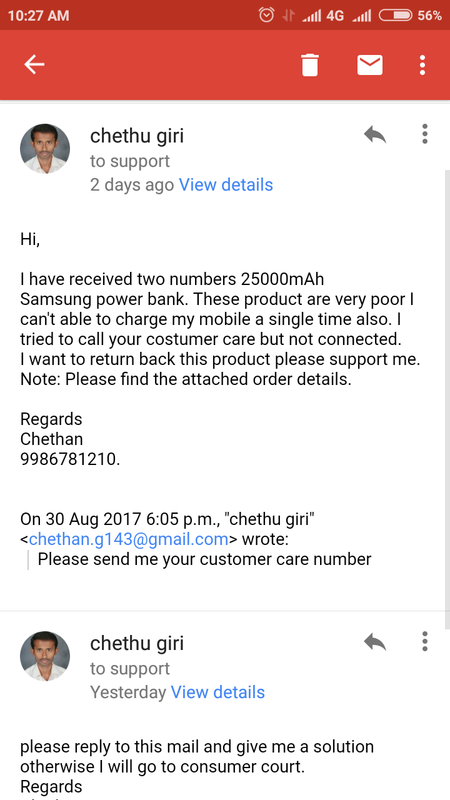 I have received two numbers 25000mAh Samsung power bank.These product are very poor I can't able to charge my mobile a single time also.I tried to call to costumer care number but they are not connected. 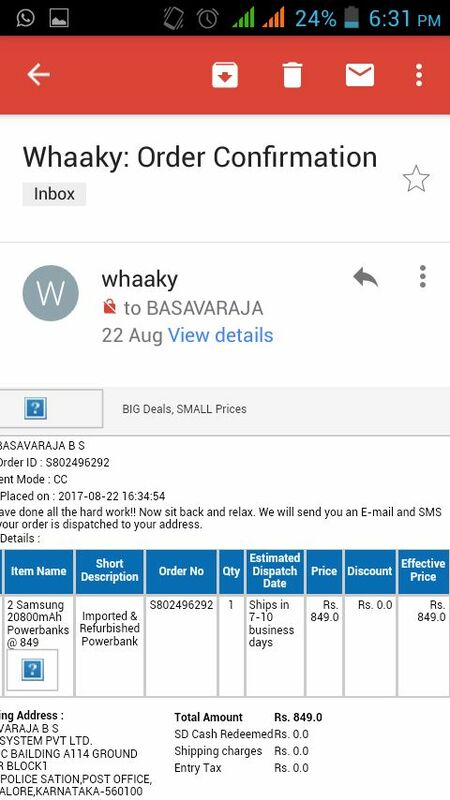 I mailed to [email protected] also, but they are not replied. Please help to solve this problem.